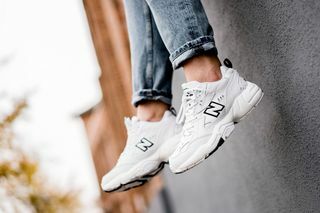 Key Features: The chunky runner in women’s sizing comes in three colorways and features a primarily leather upper construction with several over- and underlays, adding to the silhouette’s bulk. 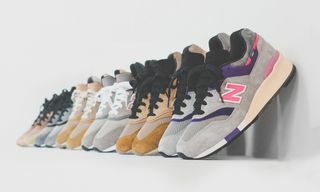 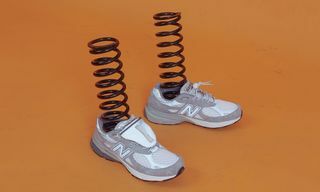 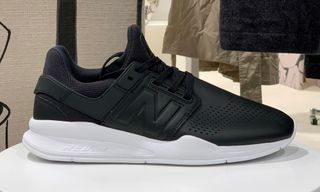 New Balance branding is seen on the sides, heel, and tongue, while a thick white midsole rounds out the look. 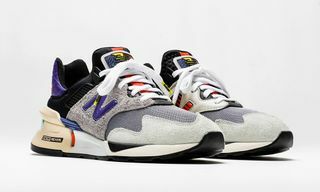 Editor’s Notes: German retailer 43einhalb is selling a trio of on-trend chunky New Balance sneakers. 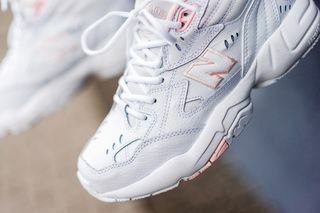 The model, the WX608W, is available in women’s sizing ranging up to a men’s US9.5. 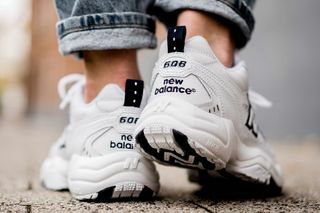 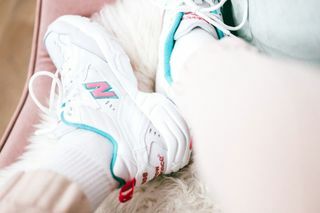 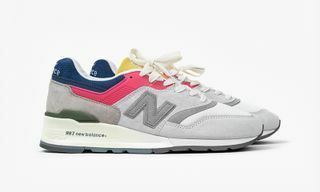 The New England brand’s 900 series is its most popular among sneakerheads, with the WX608W passing more under the radar. 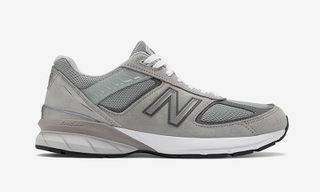 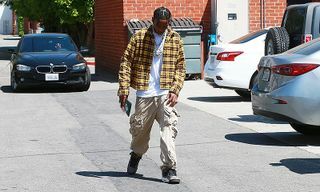 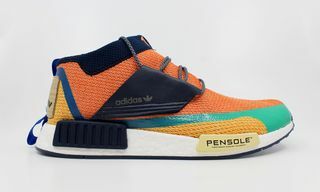 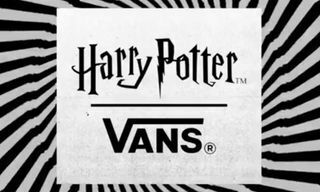 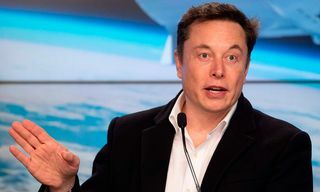 But as is immediately obvious when looking at the sneaker, it’s a kick fully in line with current dad (or mom) shoe trends. 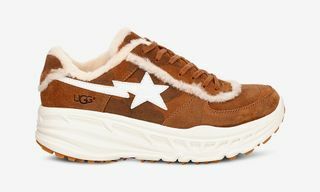 Retailing for just over $100, it’s also a cost-efficient alternative to other, more expensive chunky kicks out there. 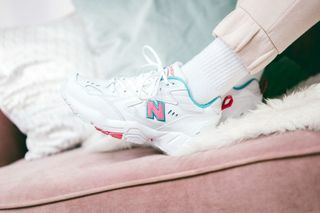 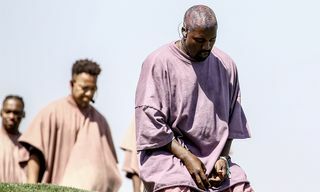 Peep the images above, shop the styles via the link below, and don’t forget to leave your thoughts in the comments.